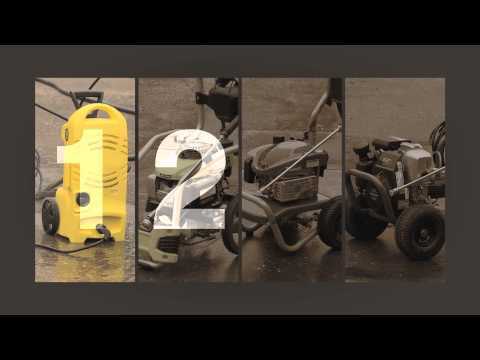 The largest available for each pressure washer's respective pressure ratings, each engine comes standard with low-oil shutdown—a feature not available on many competitive engines—to protect and prolong the life of the engine. 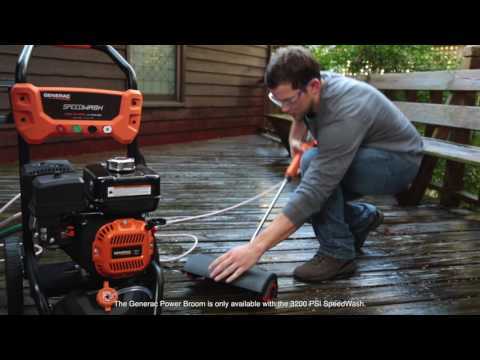 Thanks to the horizontal-shaft engine, every Generac pressure washer has an easily accessible pump well above the ground, so you don't have to kneel down to make hose connections. 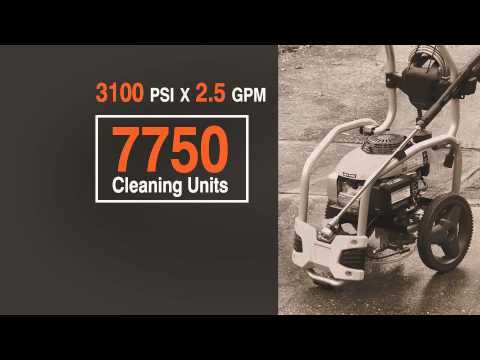 Generac's OneWash™ pressure washer offers variable pressures from 2000 to 3100 psi. That makes it four pressure washers in one. You choose the cleaning task, and set the pressure accordingly. Generac spray guns feature a unique cushion grip that reduces fatigue by minimizing vibration. The innovative easy-to-pull spray trigger can be held with a minimum of effort. And the Quick-Click™ nozzle tips are easy to replace. 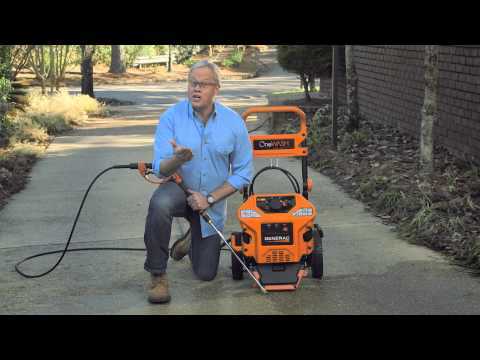 From cleaning patio furniture to scrubbing concrete to paint preparation, Generac has a pressure washer to meet your needs.